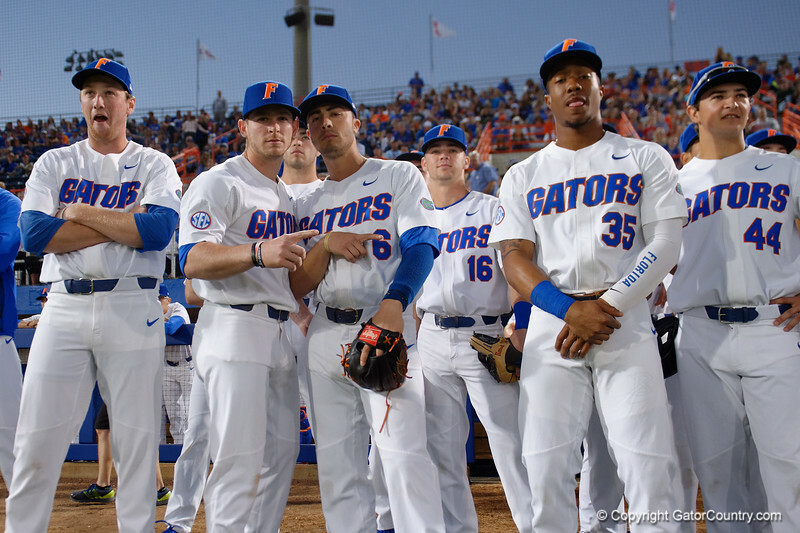 University of Florida Gators infielder Deacon Liput and University of Florida Gators infielder Jonathan India get ready to take the field as the #1 ranked Gators open the 2018 season with a 7-1 win over Siena College at McKethan Stadium. February 16th, 2017. Gator Country photo by David Bowie.